Are you ready to indulge in what many refer to as the Wine and Food Capital of the United States? The Michelin Star-rated restaurants in Napa Valley are abundant and world-class; the farm-to-table dining offers organic, fresh flavors and impeccable wine pairings. Wine country cuisine has become one of the region’s most sought after experiences, and there is one name that comes up most often, Chef Thomas Keller. The list of Michelin stars, James Beard and countless other awards seem to be endless for his three restaurants in Yountville, Ad Hoc, Bouchon and The French Laundry. More often than not, one or more of these destination dining establishments are requested as part of our dinner limo service, and here is why the demand for Chef Keller’s food never ends. 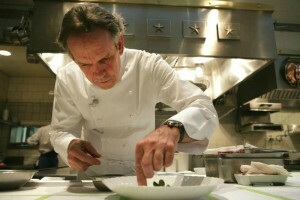 In 1994, Thomas Keller purchased The French Laundry restaurant, ending his search for the perfect space to establish fine French dining with a unique California flair in the Napa Valley. The rustic two story stone cottage with a quaint courtyard was originally built in 1900 and did serve as a French style steam laundry in the 1920’s. In 2006 the James Beard Foundation awarded The French Laundry with the highly coveted ‘Outstanding Restaurant Award’ and the accolades have not stopped since. 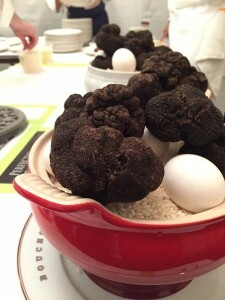 Most recently, the Michelin Guide granted Chef Keller three stars… for the sixth year in a row! The French Laundry is considered to be one of the best restaurants in the world, and Chef Keller’s fundamental relationship with the local array of food and farms has helped create some of the best food in the world. He believes that an ingredient is already finished when it gets to his restaurant, so his aim is to carefully select from his own garden as well as the local suppliers to ensure the finest ingredients in the world. This can be the dining experience of a lifetime, and is well worth the effort and cost of getting in. In 1998, Chef Thomas Keller decided to dedicate a new restaurant concept to authentic French bistro fare and opened The Bouchon Bistro. The busy vibe bustles with a true European feel, and the dining room showcases a huge raw bar full of Fruits de Mer that’s incredibly fresh and delicious. The food and ambiance, combined with Chef Keller’s attention to detail led the Michelin Guide to award a star to Bouchon, giving him four stars at two different restaurants on the same street. The menu changes every day and reflects the dedication to seasonal and local producers and ingredients. That said, some staples like leg of lamb and the trout amandine are available year round due to the demand. Right next door, the Bouchon Bakery offers pastries, cookies and snacks that almost every wine tour requests. Sometimes, the line is out the door and down the street a bit, but is more than worth it. Chef Keller’s most recent addition to Washington Street in Yountville is Ad Hoc. This is a casual but tasty venue to showcase Chef’s childhood American comfort food. Ad Hoc was meant to be a temporary space filler while the kitchen team developed a new concept, but it was so loved by locals and visitors Chef decided to keep it the way it was and it is now a permanent part of the Yountville restaurant scene. Every day the four-course tasting menu is updated with the freshest local ingredients and features classic American dishes. 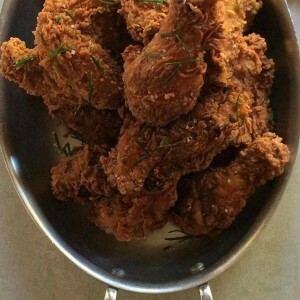 Fried chicken night happens once a week and is certainly the most popular night to visit, but the BBQ and pot roast are fantastic as well. The laid back attitude has led to another idea called Addendum. Every Thursday, Friday and Saturday from 11am to 2pm they serve boxed lunches that could include the famous fried chicken! Our concierge and tour guides know plenty about every Michelin starred restaurant from Napa to Calistoga. We have the experience and local expertise to suit your every need when it come to the Napa Valley. Whether you would like Chef Thomas Keller’s box lunch from Addendum in between wineries or if you need with a restaurant reservation, we can ensure you experience the Napa Valley you have always dreamed of. While we can do many things for our guests a reservation at the French Laundry is not always that easy to accomplish, so we suggest you head to The French Laundry reservations site to make your booking. Contact us today or call us at (800) 387-2328 and let us show you the best food in the world, perfect after a day of wine tasting, right here in the Napa Valley wine country.